Cleo Coyle is a pen name of Alice Alfonsi, who collaborates with her husband, Marc Cerasini, to write the national bestselling Coffeehouse Mysteries. 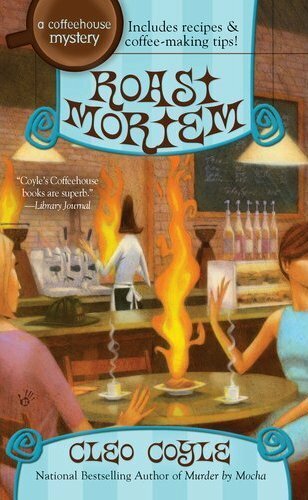 Cleo’s 2010 release, Roast Mortem, was a Bookreporter.com “Favorite Book of the Year” reviewer’s pick. Her new hardcover release, Murder by Mocha, is a featured alternate selection of the Mystery Guild for the month of August; and the audio rights to the entire Coffeehouse back list recently sold at auction to AudioGo (BBC Audiobooks). 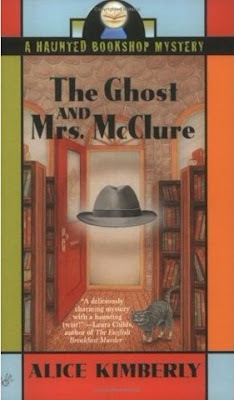 Under the pseudonym Alice Kimberly, Alice and Marc also write The Haunted Bookshop Mysteries. Like their ten Coffeehouse books, their five “Ghost and…” novels are works of light amateur sleuth fiction. They are also national bestsellers for Penguin's Berkley Prime Crime, and more are signed up to be released in the near future. Writers are often asked what inspired their series, and I’m no exception. I mean, sure, I drink a scary amount of bean juice, but caffeine consumption was not my sole inspiration. I live with my husband in Queens, New York, but I wasn’t born in the Big Apple. Like my coffeehouse manager Clare Cosi, I grew up in a blue collar neighborhood outside of Pittsburgh, Pennsylvania. Unlike Clare, who dropped out of art school, I completed my degree at Carnegie Mellon. Thanks to some early writing awards, along with a journalism program at American U. in DC, I landed a cub reporter's spot at The New York Times. During my early years in New York, I lived in a tiny apartment in Alphabet City. These days, much of that Manhattan neighborhood is packed with trendy bars and clubs. Twenty years ago, it was simply a low income wing of the East Village. Although my Avenue B apartment was Lilliputian in size and sat across from a park that was (at the time) a haven for crack dealers, it’s location also put it two floors above a small, no-frills bakery called Bread and Roses—a ray of warm light in a manifestly noir-ish landscape. Sure, I know…setting a series in "the Village" of big, bad New York seems a cheeky irony for anything calling itself a cozy, which typically locates its amateur sleuths in pastoral towns. Honestly, though, many aspects of the city—from its unique neighborhoods and mom-and-pop businesses to its populace that loves baseball, gossip, and pets—have a lot in common with small town living. The historic, upscale West Village alone is very much like its own little burg. “Publishing is not a business,” insiders say. 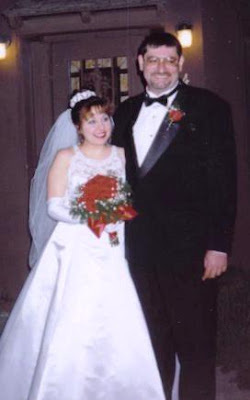 “It’s a casino.” Certainly writing as a profession is far from a sure thing, but then Marc and I were wed at The Little Church of the West in Las Vegas. What keeps us going is a fairly simple philosophy, one we hope all writers can share. Thanks again to Kaye. Enjoy your summer reading, everyone! To learn more about Cleo’s books, drop by her virtual coffeehouse at http://www.CoffeehouseMystery.com, where she maintains a message board for her readers; posts recipes; and makes unique coffee picks from roasteries across America. This is one of my absolute favorite series, so glad to see this interview. Thank you, Vickie. I hope you enjoy the new entry, too. MURDER BY MOCHA includes some interesting back story (involving Clare's favorite octogenarian), and I'm looking forward to hearing what long-time readers think. 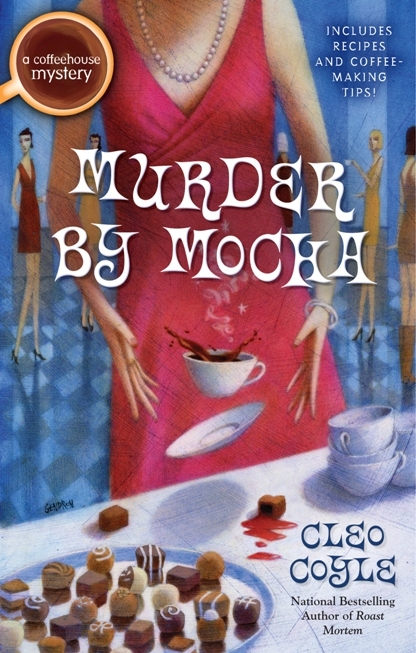 Looking forward to reading MURDER BY MOCHA (and happy to learn that Cleo is also Alice Kimberly - who I also love!). Beautifully cool photo at the top of your blog, Kaye! Thanks for this visit with one of my favorite people, authors, and cooks. I've got two daughters waiting impatiently for me to read and finish Murder By Mocha (at least I think they plan to wait, and not shanghai the book as soon as UPS delivers it). I can't wait to read it either, and I'm positively pining for another visit to the Haunted Bookshop! 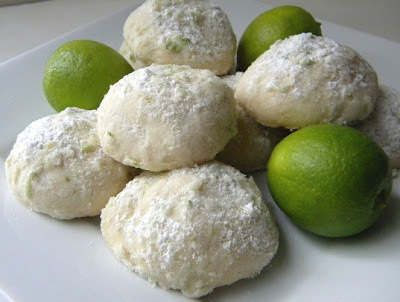 I made these Key Lime Coolers the other day. They barely stayed around long enough to cool. Got to make more! Laine (of Laineshots) - Readers like you make the grand struggle worth it. Thank you. I'm looking forward to reading Murder by Mocha and I can't wait to read Madame's backstory. This was such an interesting interview! I am sure I will enjoy this series. Thanks for the chance to win one. What a wonderful and insightful interview. Cleo / Alice, (along with her husband writing partner) drew me in hook, line and sinker from the first read of the delicious Coffeehouse Mystery novels. I cannot wait to read Murder By Mocha. Thank you for bringing such warm and lively characters to life; and Urban Cozy, awesome, what an ideal pairing of words. Cozy is truly where the heart is whether it be urban, pastoral or whatever suits your fancy. Thank you for sharing your story! Dru - Thank you so much for dropping by today. I'm looking forward to hearing what you think of the new book (especially Madame's backstory)! Kelly - Cozy is a state of mind. Exactly! “Urban Cozy” might sound odd to some readers; but, if done right, the cozy protagonist can be a light in the darkness.